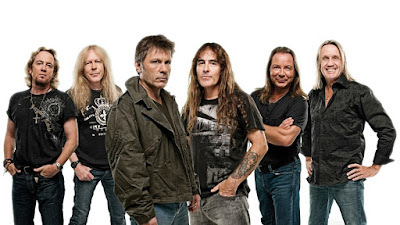 Iron Maiden streamed the final concert on The Book Of Souls World Tour from Wacken Open Air Festival in Wacken, Germany on August 4 and video of the band’s full performance is available. On the road since late February, the veteran metal outfit have played 72 shows in 36 countries across six continents to over 1.5 million fans. "We decided to finish the tour at Wacken as it is the ideal way to end this magical tour playing to 80,000 core metal fans at this legendary Metal festival,” says Iron Maiden manager Rod Smallwood. “Wacken has become such as international event with many thousands of fans from many other countries around the world joining and celebrating with the German fans so it is perfect for the final show of a memorable tour. “Everywhere we’ve played the fans have been amazing and the reaction to the new songs and stage show has been phenomenal. The band has loved every minute on stage. The group’s 16th album, “The Book Of Souls” landed Iron Maiden a No. 4 debut on the US Billboard 200 with opening week sales of 75,000 copies.